The subject of self-insuring workers’ compensation has received a lot of criticism over the years, however, it continues to be a successful and cost-effective business option for employers when funding their workers’ compensation needs. Whether it be a large employer self-insuring alone or smaller employers that band together to form a self-insured group (SIG) program, there are many advantages that they can stand to gain from this practical risk funding alternative. In fact, it’s not only the employer that benefits. There are several advantages that self insurance can provide to the injured employee and, on a larger scale, the workers’ compensation industry as a whole. The concept of self-insurance has been around since the first Workers’ Compensation laws were passed in the early 1900’s and, at this point, most individual states have specific statutes that allow employers to take advantage of self-insurance. Most that self-insure choose to do so simply because it’s always the most cost-effective option available. When employers implement formal pre-loss and post-loss programs, the benefits of assuming some of their own risks becomes clear. These programs lower the fixed cost component, thus providing immediate cost savings. What are some specific examples in which an employer might choose to become self-insured for workers’ compensation? They have a low history of claims and believe that their workers’ compensation premium is higher than it should be. They see the substantial amount of premium dollars that they could be holding (instead of their insurance carrier) that aren’t immediately needed to pay claims. They discover that, by self-insuring, employers not only have the use of money not yet needed for claims, but actually get to keep what isn’t needed at all. Employers want to manage their workers’ compensation program like they manage the rest of their business – estimating and managing costs where they can. Workers’ compensation losses usually involve a high occurrence of low-cost claims and a low occurrence of high-cost claims. This characteristic allows larger employers to estimate the annual cost generated by these smaller claims so that their potential costs can be budgeted. By purchasing excess workers’ compensation coverage, the employer can then protect itself from the more unpredictable large claims. The employer accepts direct responsibility over the payment of workers’ compensation claims, purchasing excess coverage to cap their liability on large losses. This gives the employer more control with the least amount of frictional costs. Most self-insureds rely on a professional Third-Party Administrator (TPA) to administer their claims. Working with these specialists allows them to tailor their claims and medical cost management to fit the unique characteristics of the employer. With more employer control, the injured employee usually receives better service and support that, ultimately, can result in quicker return to work. Again, a TPA is often hired and working for the employer to handle claims instead of an insurance company, therefore, the employer establishes the service model. Not only is this often more efficient, but it allows for the program to adopt the culture of employer. For instance, the employer may specify that all injured employees be sent to a particular specialist of their choosing – doctors that they have indentified as achieving the best outcomes for their patients. On the other hand, insurance companies tend to operate with a detached efficiency. They are dealing in volume. They want to find a solution as quickly and cost-effectively as possible to resolve claims. This type of set up does not allow for the special touches that self-insured employers can provide. When employers have greater control of their claims process, they have the ability to find the best way to get claims resolved with their employees’ best interest in mind. Better resources lead to a better quality of care. This leads to results. Results lead to happy employees that want to return to work faster. It’s an equation that works. The general insurance industry can’t possibly respond to the nuances that specialized carriers can provide. If a company tries to do everything, chances are, they don’t have the opportunity to learn the specialized details to do them better than their competitors. Who would better know the ins and outs of workers’ compensation than an organization that specializes in only that line of insurance? The option to self-insure workers’ compensation provides opportunity for niche carriers to offer specialized expertise. The ability to self-insure workers’ compensation programs also answers the need and demand for alternative-type coverage. It offers an affordable choice to doing business. Without it, employers wouldn’t have a choice. Finally, self-insured employers and SIGs are more engaged in the legislative and regulatory process. Ask yourself the question, are legislators more apt to listen to employers within their states or insurance companies headquartered in other states when it comes to the efficacy of their workers compensation laws? Employers, employees and insurance companies all benefit from the increased involvement of self-insured employers. With a hard market on the horizon, agents and brokers will be looking for viable alternatives to the conventional workers’ compensation market. Self-insured workers’ compensation is an alternative risk funding option that can result in the best course of action for many employers. 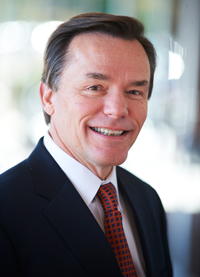 Mark Wilhelm is Chief Executive Officer of Safety National and serves on the company’s Board of Directors. He joined Safety National in 1977 when the company had approximately $11 million in assets, and led its underwriting operations from1985 until he was named CEO. Safety National is now a leading workers’ compensation insurance provider with nearly $3 billion in assets. Mr. Wilhelm is a regular speaker and panelist at industry conferences regarding self-insurance, workers’ compensation and other topics. Safety National Casualty Corporation, a versatile alternative market insurance provider that offers a broad range of risk funding products through insurance agents and brokers. Founded in 1942, Safety National is the leading provider of excess workers’ compensation coverage to self-insured employers and groups nationwide, and has provided that type of coverage longer than any other company in the United States. The company is licensed to provide workers’ compensation insurance in all 50 states, the District of Columbia and Canada. Safety National is a wholly-owned subsidiary of Delphi Financial Group Inc. (NYSE: DFG) and is rated “A” (Excellent), Financial Size Category XI, by A.M. Best. To learn more, visit: www.safetynational.com.